It seems like we’re on a roll at the moment, with not one but two major stories about the Good Law Project hitting the headlines over the last few days. On 27th November at 9am, the Court of Justice of the European Union will hear our case on whether the UK can withdraw the terms of the Article 50 notice. You can read the terms of the reference here. It’s perhaps worth flagging Faisal Islam’s tweets about our case, where he was told that its significance was being underplayed. But we know that the case is of utmost importance – and so urgent that the Court has agreed to fast-track it. If we can revoke the notification without permission from the other EU member states, we can retain the rebate and opt outs we currently enjoy. As our director previously wrote in the Guardian, it can be, legally, like the decision to Brexit was just a bad dream. Yet we need the best legal team that money can buy – please help us. As you may have seen on the news, the Good Law Project and Ben Bradshaw MP have taken the first formal step in judicial review proceedings against the Electoral Commission over its failure to investigate the £435,000 donation to the DUP from the secretive Constitutional Research Council. You can read the letter we sent to the Commission here. 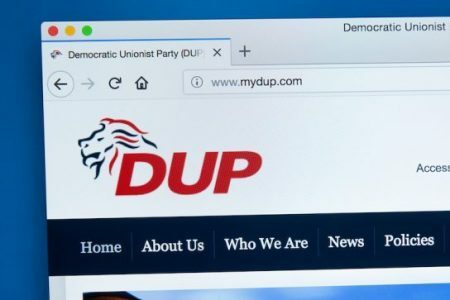 The case is especially interesting because we will be asking the Electoral Commission to exercise its power to forfeit the DUP’s donation, a donation which is more than double the DUP’s reserves. For a detailed background of the case click here, and for our crowdfunding page, see here. In our previous newsletter, we told you that the Electoral Commission was appealing against the High Court ruling that the Commission had misunderstood the law surrounding donations during the EU Referendum. Last week however, two Court of Appeal judges sitting in the High Court handed down a short further judgment, rejecting the Electoral Commission’s application for permission to appeal. You can read the judgment here. It held that the donations made by Vote Leave to Darren Grimes to meet his expenses with AggregateIQ were Vote Leave’s referendum expenses, and there was no real prospect of persuading the Court of Appeal otherwise. We have published a short blog post which explores the consequences of this refusal. Our director Jolyon Maugham QC appeared on the BBC’s Inside Politics, discussing our challenge over the Electoral Commission’s decision not to investigate the DUP’s donation. The segment starts at 19 minutes in.